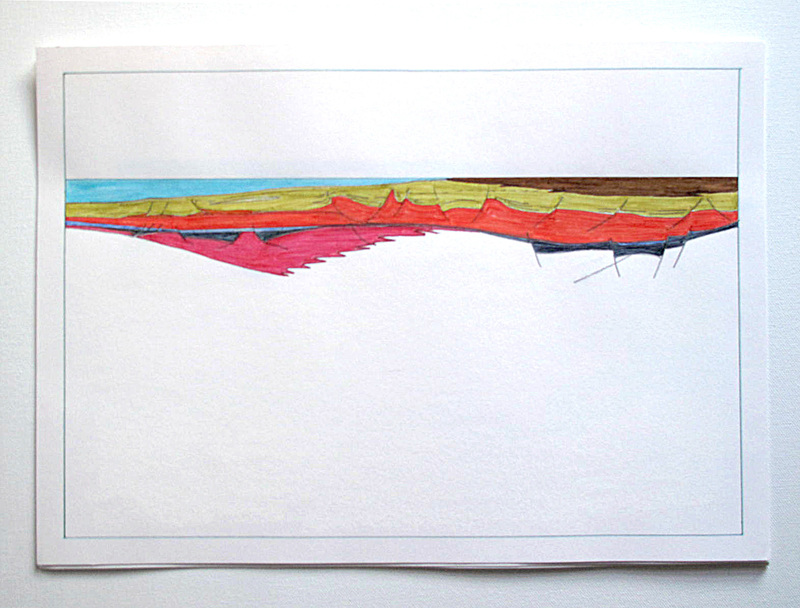 “The Seismic Series” is a conceptual project dealing with physical earth history, and resource as commodity. As we consider recent oil spills, wars over natural resources, weapons development and the effects of mining on climate and local ecology this dynamic relationship is revealed. At the same time, the earth gives forth these precious materials which are used in the evolution of everyday technology, medicines and academic advancement. 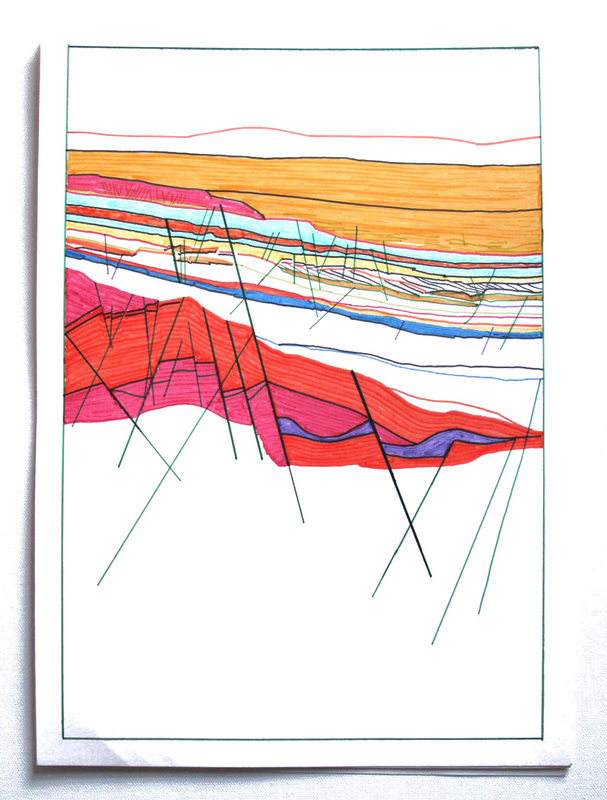 The recent drawings are inspired by geology, seismic mapping and mineral resources (ie. gold, uranium, oil, natural gas, etc.) 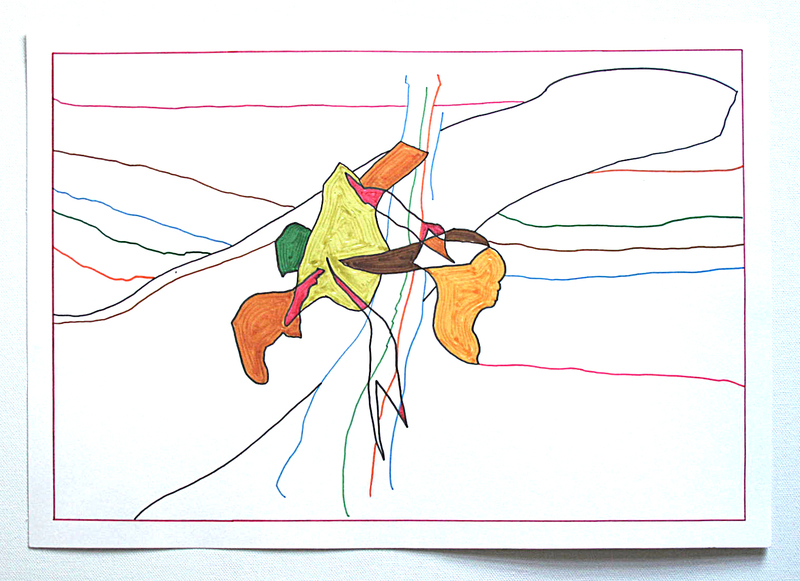 based on confidential maps provided to the artist. 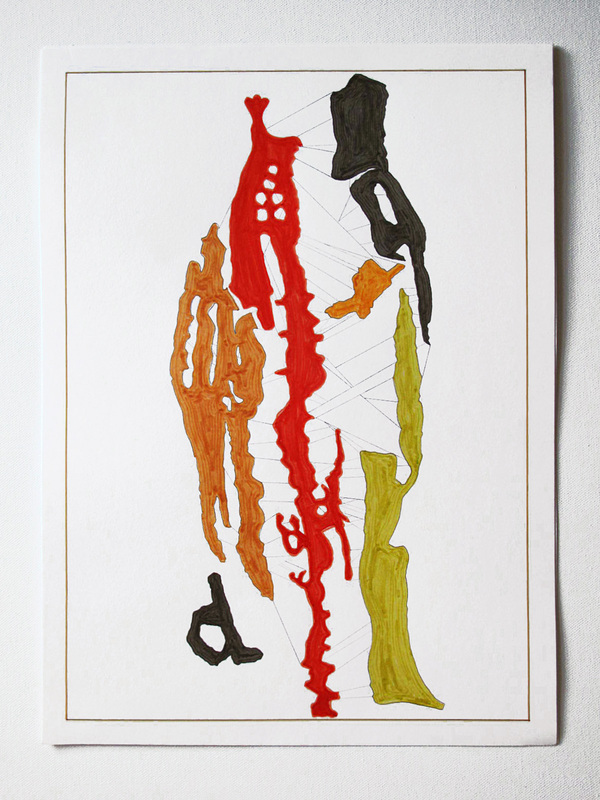 These new works on paper are made with watercolor pens, graphite and oil pastel. These are all natural materials. 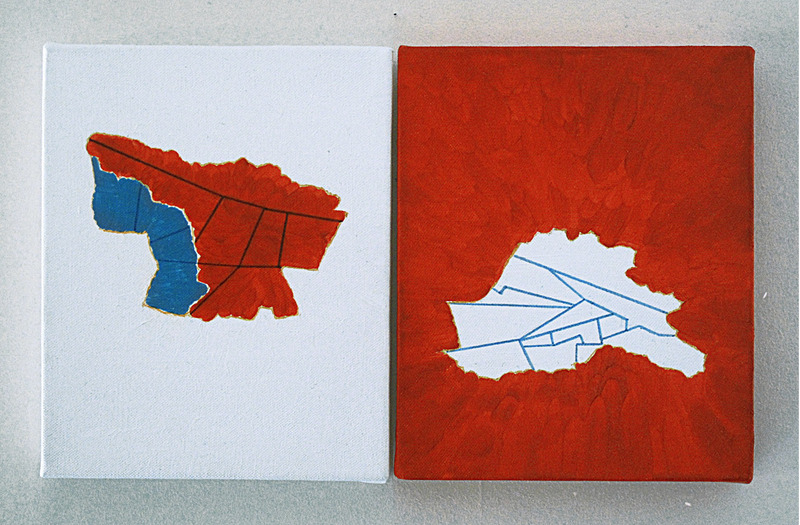 A two-part diptych painting “F.S.R.G. (Found Sedimentary Resources Gained)” refers to the license blocks of oil and gas in the Former Soviet Republic of Georgia.